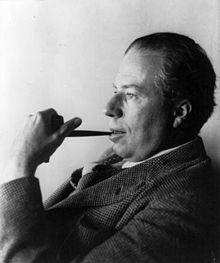 Excerpt from Wikipedia: Christopher Morley (5 May 1890–28 March 1957) was an American journalist, novelist, essayist and poet. 1. Big shots are only little shots who keep shooting. 2. Heavy hearts, like heavy clouds in the sky, are best relieved by the letting of a little water. 3. There is only one rule for being a good talker – learn to listen. 4. There is no mistaking a real book when one meets it. It is like falling in love. 5. Read, every day, something no one else is reading. Think, every day, something no one else is thinking. Do, every day, something no one else would be silly enough to do. It is bad for the mind to be always part of unanimity. 6. When you sell a man a book you don’t sell just twelve ounces of paper and ink and glue – you sell him a whole new life. Love and friendship and humour and ships at sea by night – there’s all heaven and earth in a book, a real book. 7. No one appreciates the very special genius of your conversation as the dog does. 8. Cherish all your happy moments: they make a fine cushion for old age. 9. There are three ingredients to the good life; learning, earning, and yearning. 10. The misfortunes hardest to bear are these which never came.